Acne typically appears on the face, chest, back, and shoulders, and can be caused by many factors. The root cause is the abnormal development of cells inside the hair follicles under the skin’s surface, which then leads to the blockage of hair follicles, excess production of oil (or sebum), and accumulation of bacteria. Growing bacteria in the small follicle space then causes inflammation, redness, and pain. Underlying acne formation for teens is typically the drastic fluctuations in hormones that affect oil production dramatically. It is a misconception that “dirty” skin causes acne in teens. While dirt and environmental pollutants can certainly build up in pores, the severe and often cystic acne many teens suffer from is related to internal factors; and excessive washing and scrubbing of the skin does not help, as these and certain cleansers can irritate the already inflamed and sensitive skin – and worsen the problem. Adult acne can be caused by an imbalance of the hormones, and often appears during pregnancy or during other times of hormonal change. Switching between birth control pills, elevated stress levels (which spike cortisol), or taking certain prescription medications are also known to cause acne. There is little concrete scientific evidence to link certain foods like chocolate to acne breakouts, however, sugar may be a culprit as it raises your insulin levels. Evidence suggests that insulin may boost male hormones like testosterone, triggering excess oil production. Many people report being plagued by adult acne in their 30s, 40s, and even 50s. Everyone gets acne from time to time. Some are lucky to leave it behind in adolescence, while others deal with it well into adulthood. Thanks to advances in cosmetic technologies, you don’t have to suffer the pain and embarrassment of acne any longer. 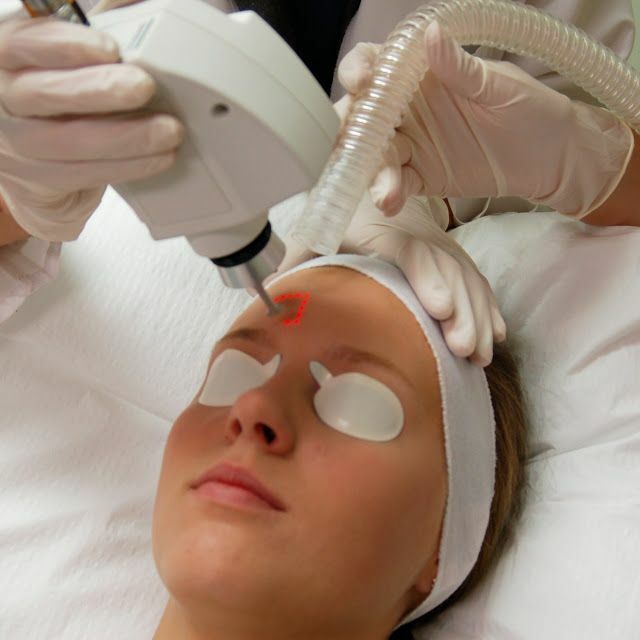 Laser acne treatment is an effective, painless way to treat both acne and the scars it can cause. By applying gentle laser light to the skin, your face, back, chest or other areas can be cleared of acne pustules without the application of harsh creams or ointments. In addition, the laser smooths your skin, minimizing the appearance of scars, uneven texture, and hyperpigmentation. Acne sometimes results in one of two types of scars: atrophic and hypertophic. • Depressed Fibrotic Scars: Large depressions in the skin that sometimes appear jagged. • Soft Scars: Smaller than most acne scars, they’re usually round or appear as lines that meld into the surrounding skin. • Atrophic Macules: These appear as purplish or bluish spots, generally fading into a shade paler than the surrounding skin. They may grow to more than a centimeter in diameter. • Perifollicular Elastolysis Scars: Also known as follicular macular atrophy, they are small, raised lesions. They look a lot like underdeveloped whiteheads. This occurs when an excess amount of collagen is produced, leading to the formation of large growths on the skin. These become what are known as keloid scars. Hypertrophic scarring is the less common form of acne scarring. Here at Dermedix Clinic, we work with thousands of acne patients every year, so we understand how you feel about unsightly acne and the frightening possibility of acne scarring. You may already have scarring to deal with and you’ve likely tried many products to treat yourself at home, experiencing disappointment and frustration. Our experienced, medical staff will thoroughly examine your complexion to ensure the right treatment options are offered to you for your specific needs. Acne treatment is not one size fits all and your private, one-on-one consultation will be the first step to regaining clear, acne free skin again. Rest assured we offer many different treatment modalities and if you’ve given up trying to treat your acne or scars because of poor results from previous treatments, we’ll find effective alternatives so that you can begin to see clear, smooth skin again. Acne scars are much more common than most people believe. Laser acne scar removal is one of the most frequently performed procedures. Many people suffer from hormone-related acne during puberty and teen years, which thankfully clears up once they enter adulthood. Even if the acne they experienced was mild, small textural irregularities in the complexion and a variety of scars can remain. If acne lesions are not treated promptly and properly, they can leave acne scarring on your complexion, even if you don’t squeeze or pick them. The development of bacteria in acne usually triggers our natural defense mechanism. Antibodies in our white blood cells will travel to the site of infection, enter the clogged follicles and eliminate the bacteria. However, in the process of killing off the acne bacteria, the antibodies may also cause inflammation and destruction of the surrounding dermis. This process causes the raised, red and white-centered appearance of a pimple. When the supporting dermis is damaged, a visible depression or crater appears. This is how most acne scars develop. Individuals with a scarring history or with weakened immune systems tend to get more pronounced acne scars. Certainly, picking at the area, squeezing pimples and other trauma added can make the eventual scar worse. Skin texture changes related to acne scars will often last a lifetime unless treated professionally. Maybe you’ve been fortunate, and your adolescent or adult acne has finally cleared up thank to your diligent skin care regimen. However, you may still have a reminder of that condition in the form of acne scarring. Some acne scars fade on their own over time. Some scars may be small and barely noticeable, while others are highly visible, and even appear as pockmarks or depressions in the skin. This type of scarring creates an uneven skin surface, and can sometimes also cause discoloration of the skin called hyperpigmentation, which only draws more attention to the scarring. Whether your acne scars are small or prominent, acne scar removal can help. At Dermedix Clinic, we use a gentle laser specifically designed to treat the uppermost layers of skin without causing further damage to its delicate structure. For this reason, it’s called a non-ablative (non-wounding) laser. When this laser is applied to the skin, the scar is exposed to fractional microbeams of laser energy that penetrate the affected skin to stimulate the creation of fresh tissue. In the time following a series of sessions, the scar gradually fades or disappears. Treatment with this device is virtually painless, and requires no anesthesia, and no downtime afterward. Some deep scarring may require the use of a more aggressive treatment called dermabrasion. This essentially equates to sanding the skin to remove several layers, and even them out with the deep scarring, thereby eliminating the depressions in the skin. This is a surgical procedure, and requires administration of local or general anesthesia, as well as a lengthy recovery period. When will I see results from laser acne treatment? Results are not immediate. You will notice a gradual reduction in acne breakouts in the time following a session. On average, 8 to 10 sessions are needed, occurring one to two times per week. You will get a better estimate at the time of your initial consultation. You may be slightly red for up to one hour post-treatment, and will have hardly any downtime. Any area where acne appears on the body can be treated. However, the face is generally the most common area treated. 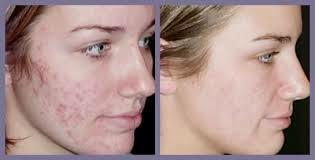 This treatment is designed for men and women who want to get rid of acne and acne scars. If you are a minor, you will require parental/guardian consent. How is laser acne treatment better than creams or ointments? 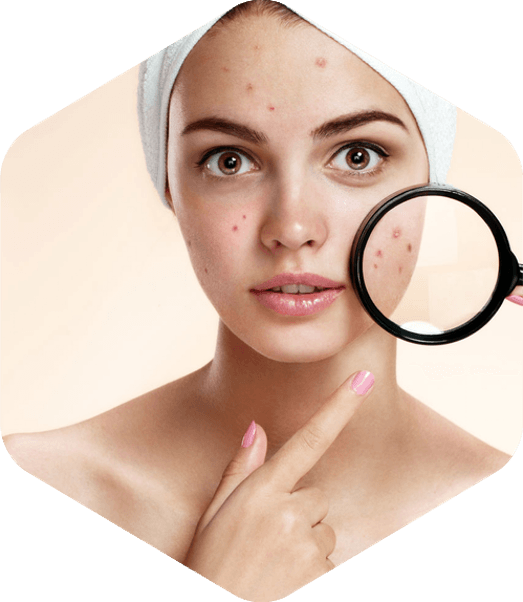 Traditionally, acne and acne scarring removal was treated with harsh chemicals or medications that often affected the healthy surrounding skin as well. 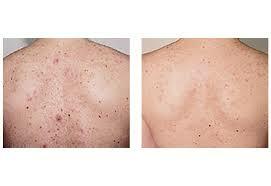 With laser acne treatment, very few side effects, if any, result. Many patients experience no downtime. The procedure itself is also virtually painless, and can achieve results more quickly than other methods. How will I look after acne scar treatment? You may be pink for a few days post-treatment. This varies from patient to patient. What areas can be treated for acne scarring? Any area where acne scars appear on the body can be treated. However, the face is generally the most common area treated. How many acne scarring treatment sessions will I need? Depending on the severity of your scarring, three to six sessions about one month apart may be needed. You’ll get a better estimate at the time of your initial consultation. When will I see results of acne scar treatment? Results are not immediate. Usually, 6 months after your last session is when the final results will appear. You must be patient as it takes time for your skin to respond to treatments. Some skin care products may be recommended by your medical aesthetician to help with recovery and expedite the appearance of results. Factors such as your general health and skin type will also affect results.